Beautiful & immaculately maintained 2 BR/2 BA, Pecan home w/2 car oversize garage (24x21), plus golf cart garage. Great curb appeal, covered front porch, privacy screen on garage. Private yard w/partial view of retention pond. Kitchen appliances include a stainless double door refrigerator, glass-top range & dishwasher. 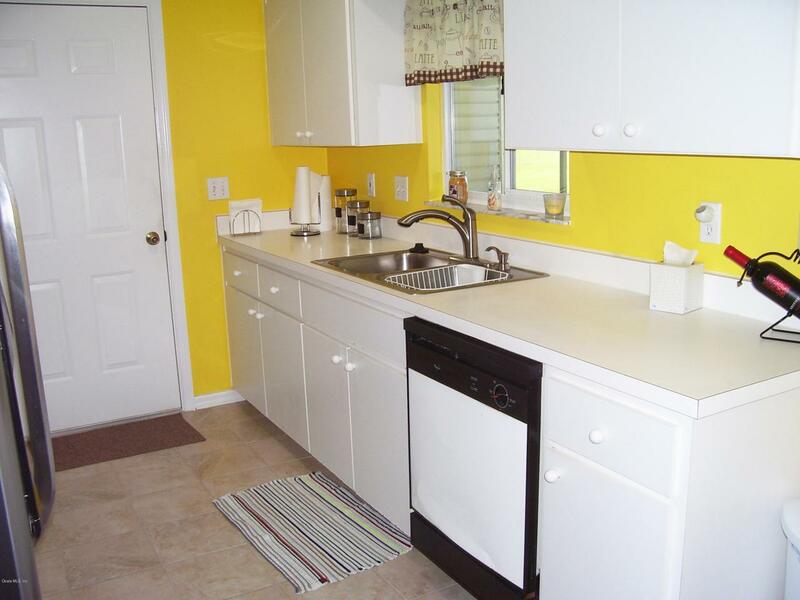 New stainless sink/faucet, painted cabinet doors, solar tube, ceramic tile floor. Vinyl (tile design) in Living/Dining Rooms & hall. 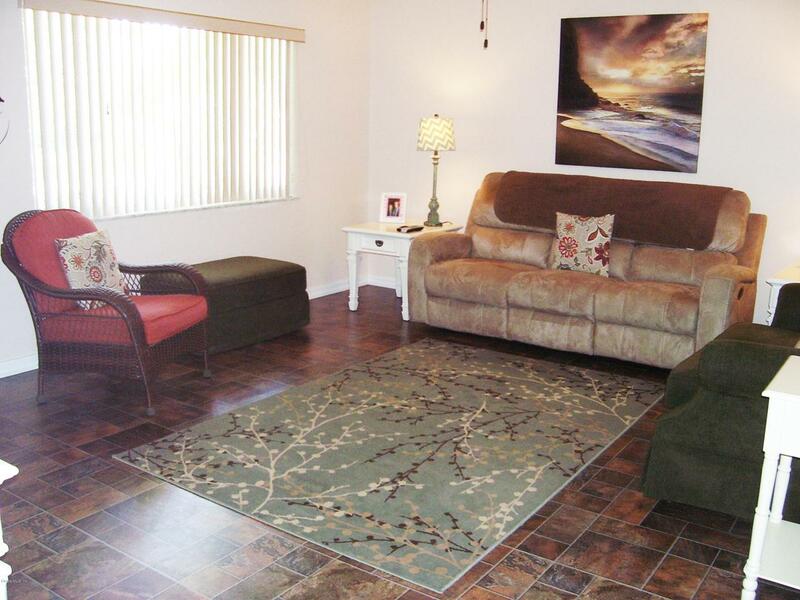 Lanai enclosed w/acrylic windows, tile floor. Screen room between Lanai & golf cart garage. Baths have new beveled counter tops, new sinks & faucets, new light fixtures, painted cabinet doors. New A/C 2017, Roof 2005. 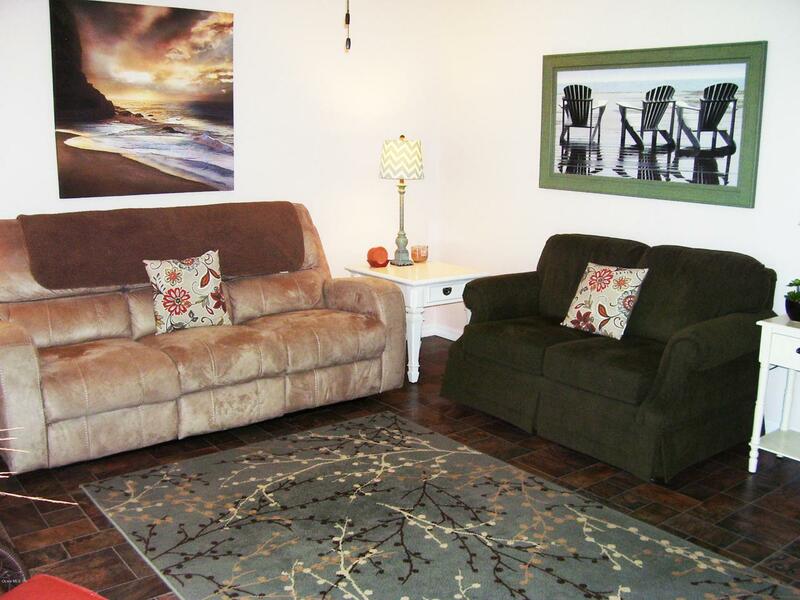 Home is in pristine condition & move-in ready. Washer & Dryer do not convey. Water Softener conveys ''AS IS''. 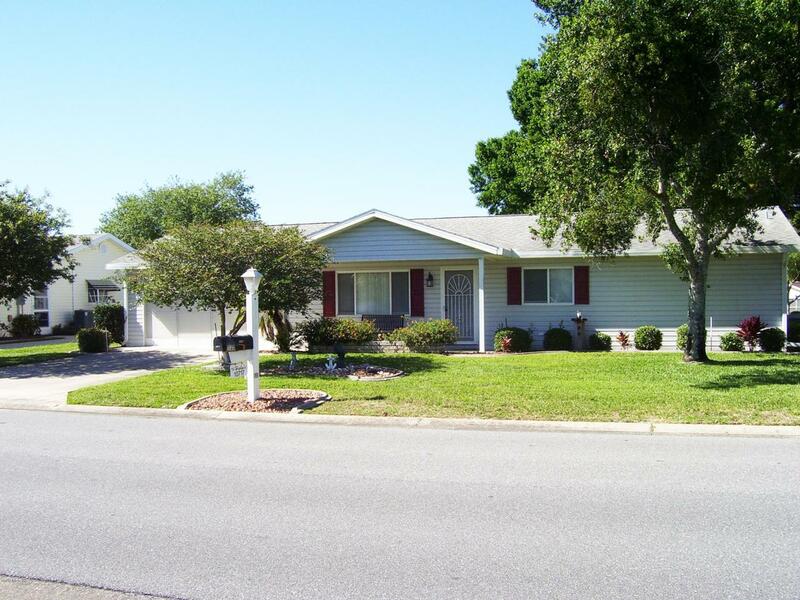 Listing provided courtesy of Thomas Campbell of Spruce Creek Realty.